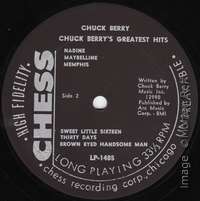 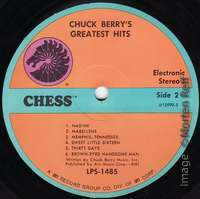 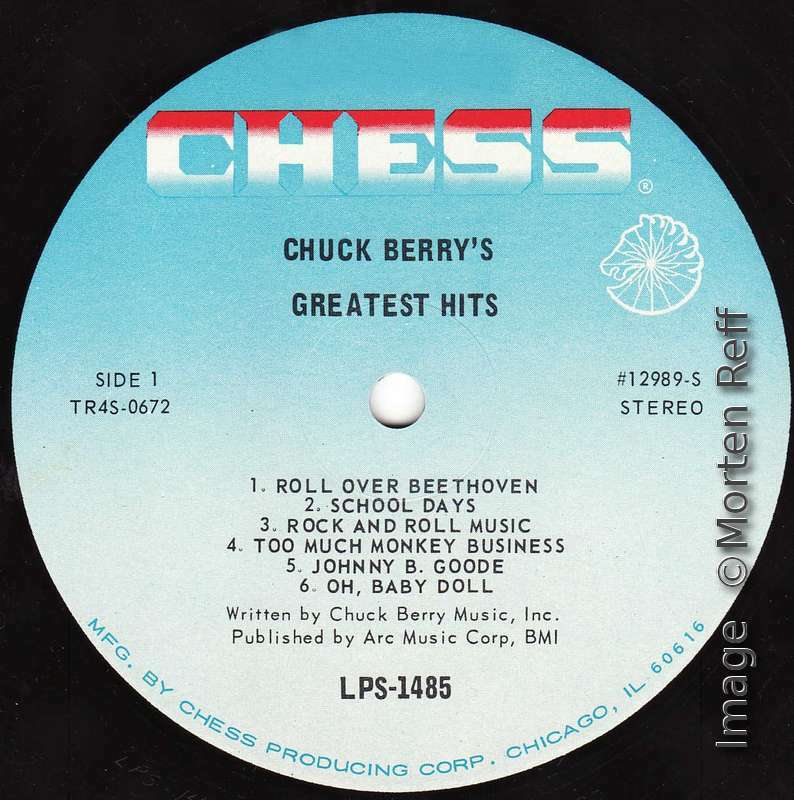 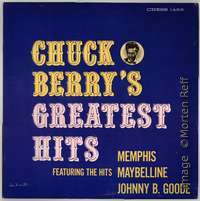 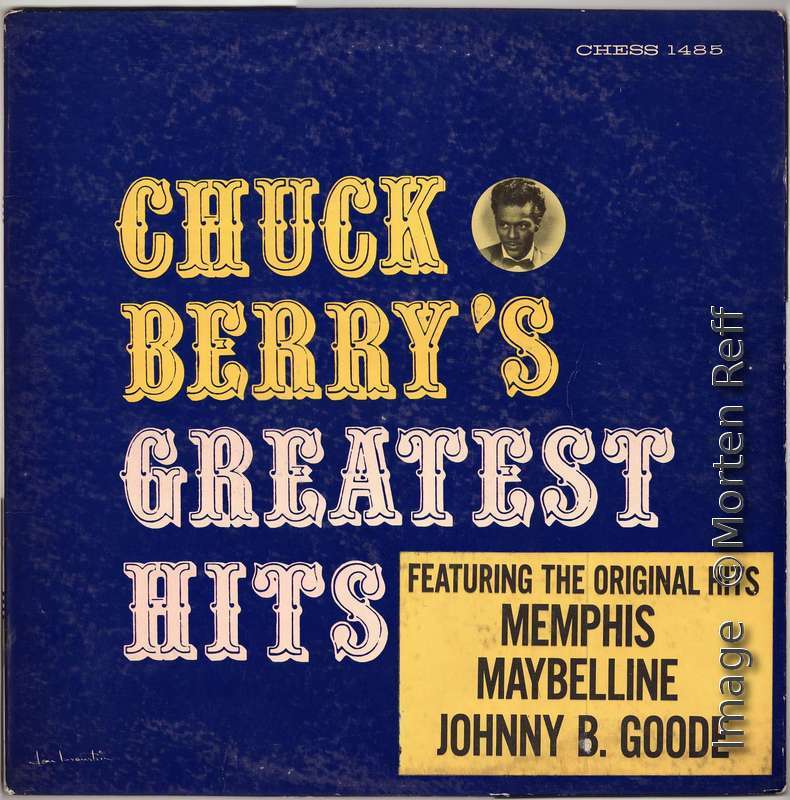 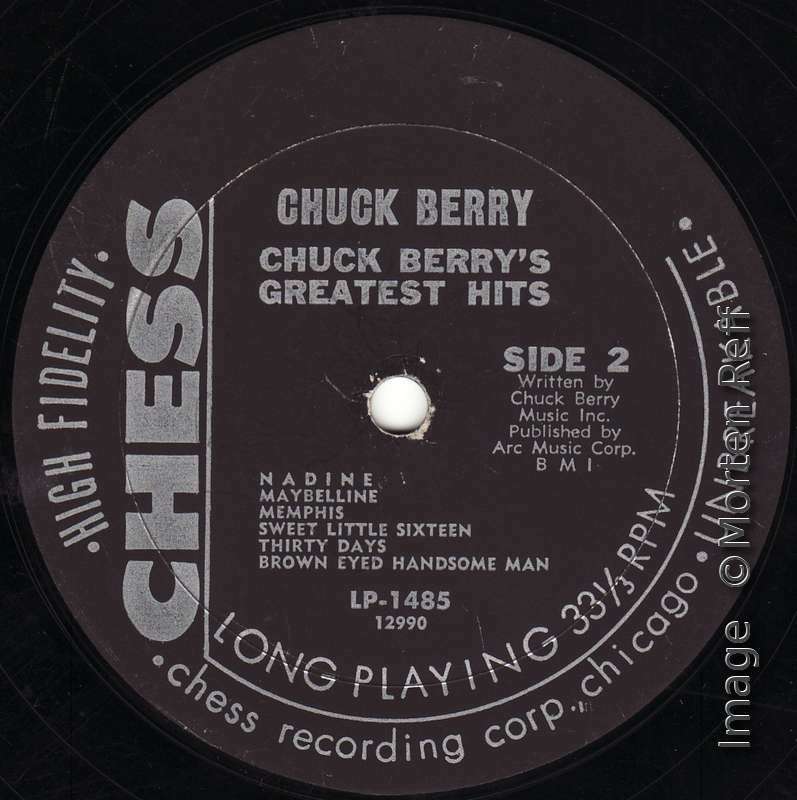 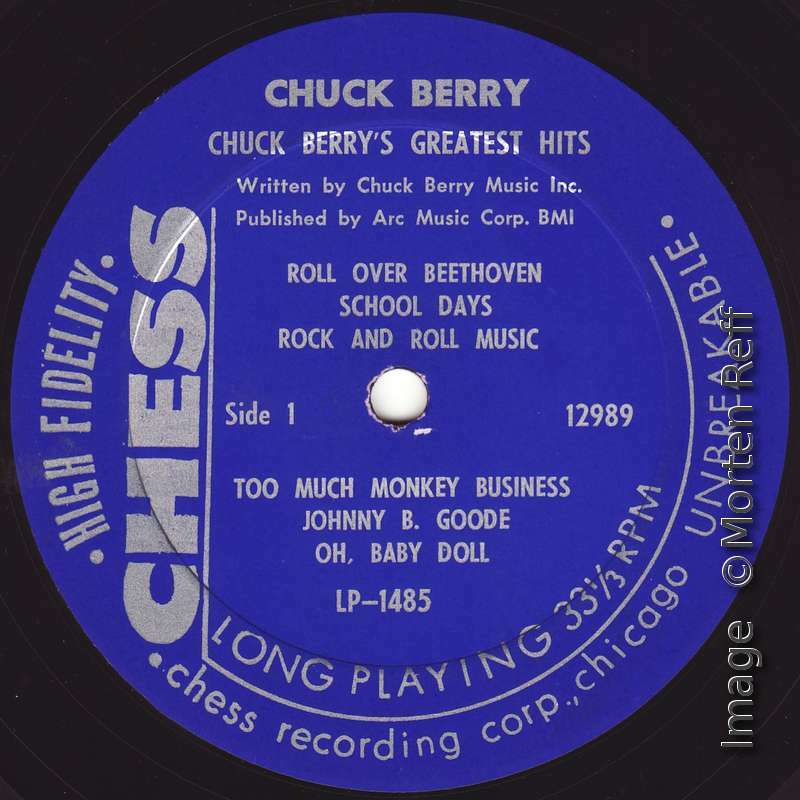 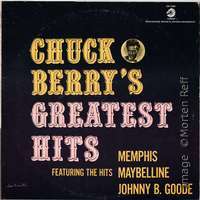 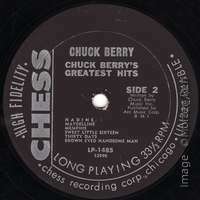 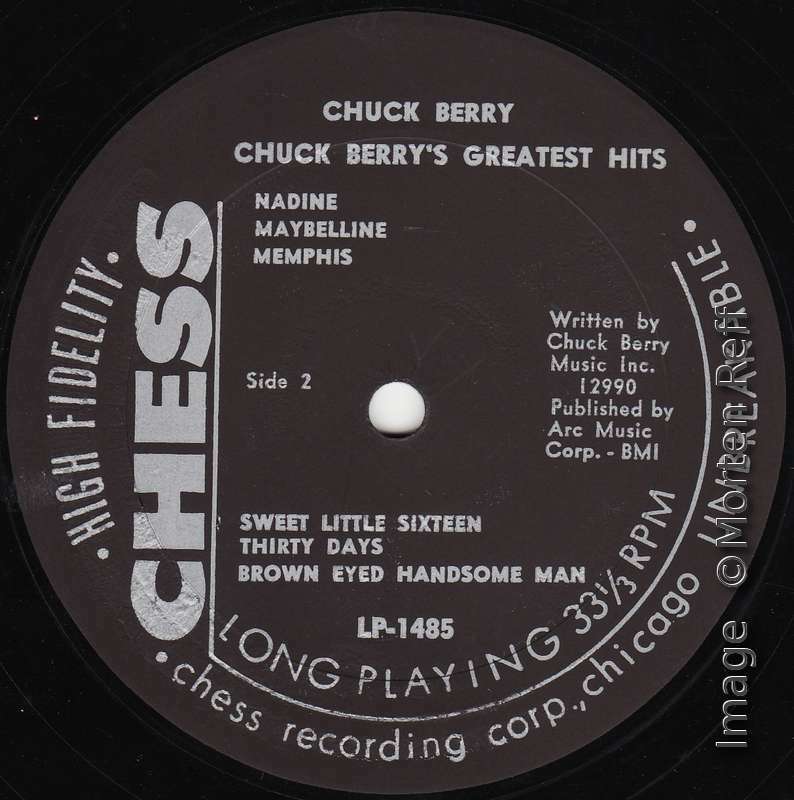 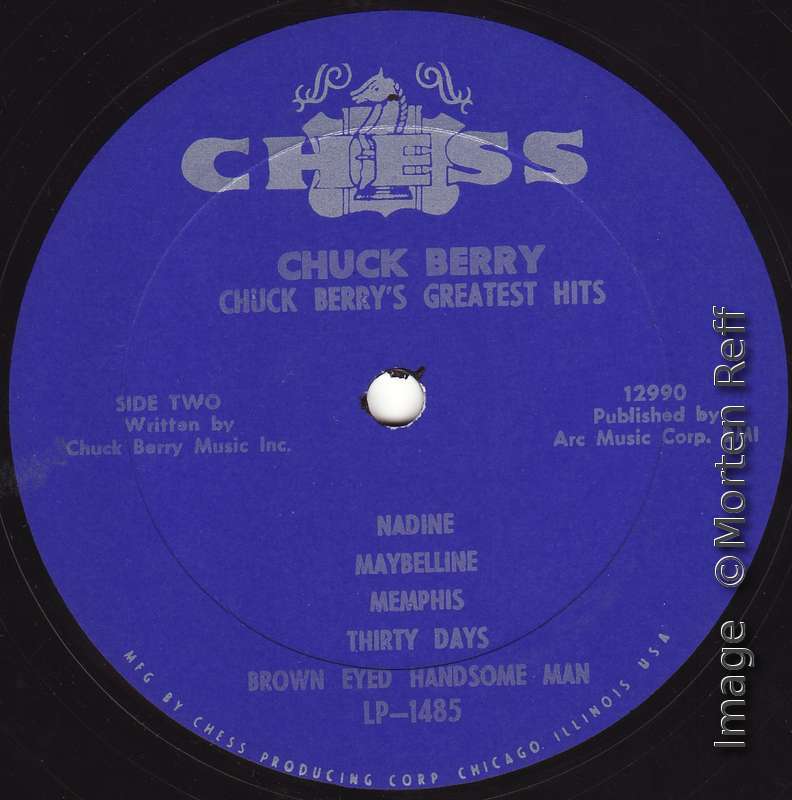 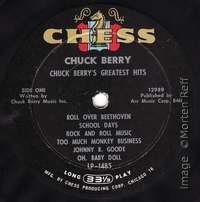 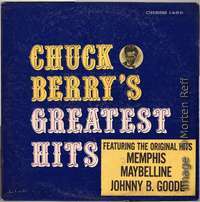 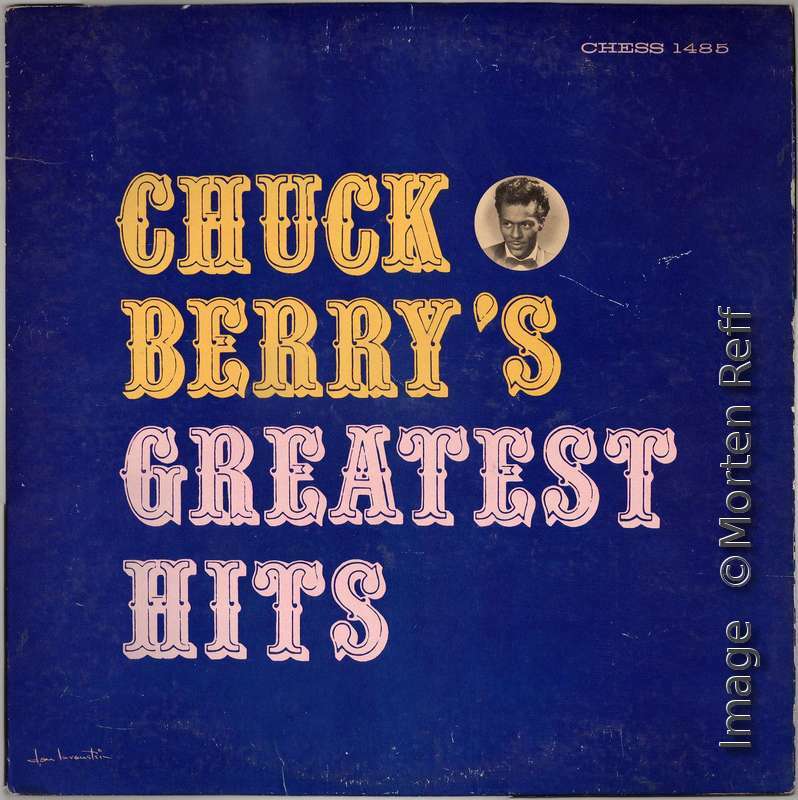 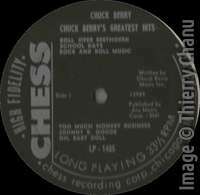 Today: After we have seen that there were three different versions of the cover of Chess LP-1480 Chuck Berry On Stage it is time to explain that the same variants (initial print, sticker, and final print) can also be found with Chess LP-1485 Chuck Berry's Greatest Hits. 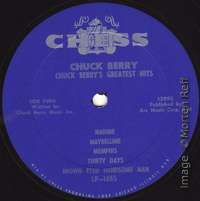 This is another of those Berry LPs that has come out with countless of label variants, 8 to be exact, and three different front covers, four if you count the el.stereo one numbered LPS-1485. 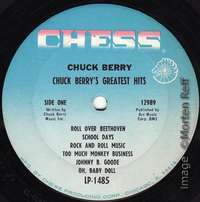 The first cover didn’t have the titles in black on a yellow sticker or printed in yellow in the bottom right-hand corner (see images). 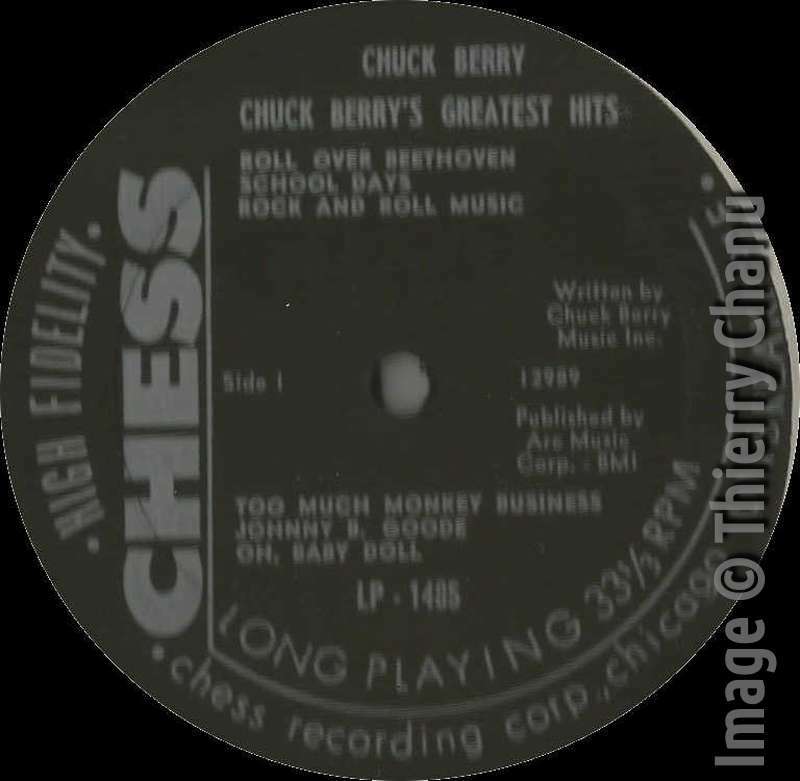 And it’s not easy to tell for sure which label was the first, but I would guess it was the old black label with the vertical silver Chess logo (again see all the various images). 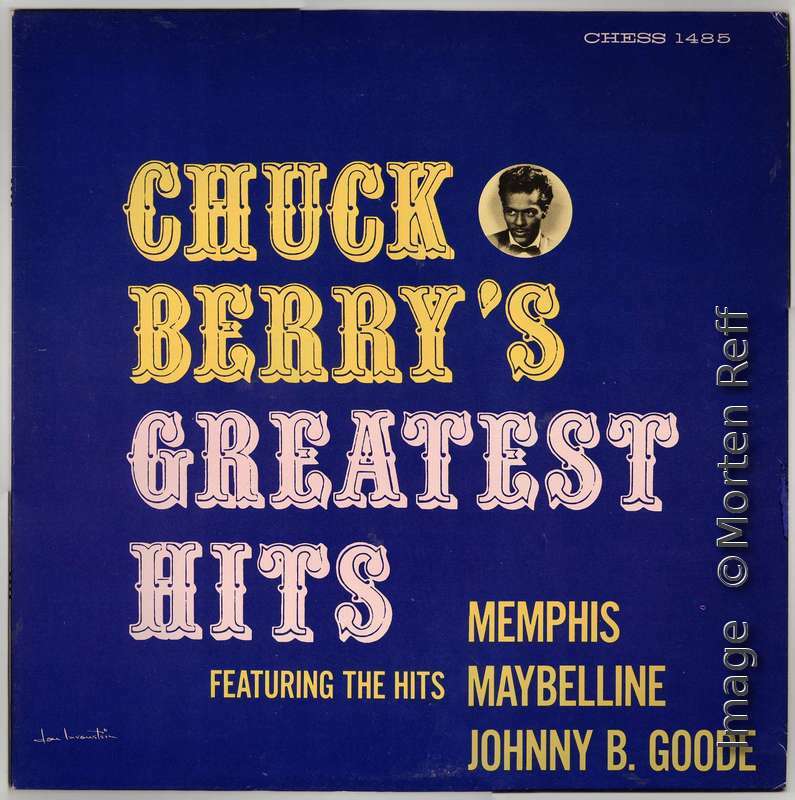 And it was also the first occasion that “Maybellene” was spelt with an ‘i’. 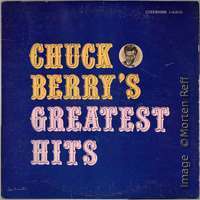 And take notice of the different spelling, Featuring the original hits on the sticker, contra the later printed version Featuring the hits. 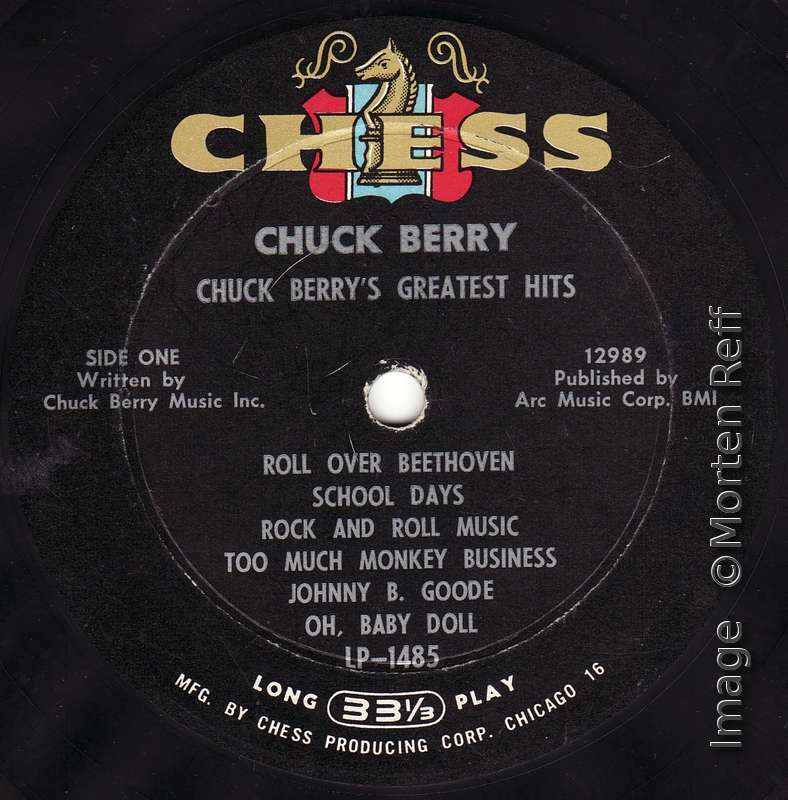 Here are the four covers of Chess LP-1485. 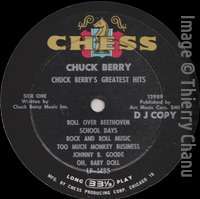 As with all images on this site you can enlarge it by clicking. And here's a selection of labels I have found with this Greatest Hits album. 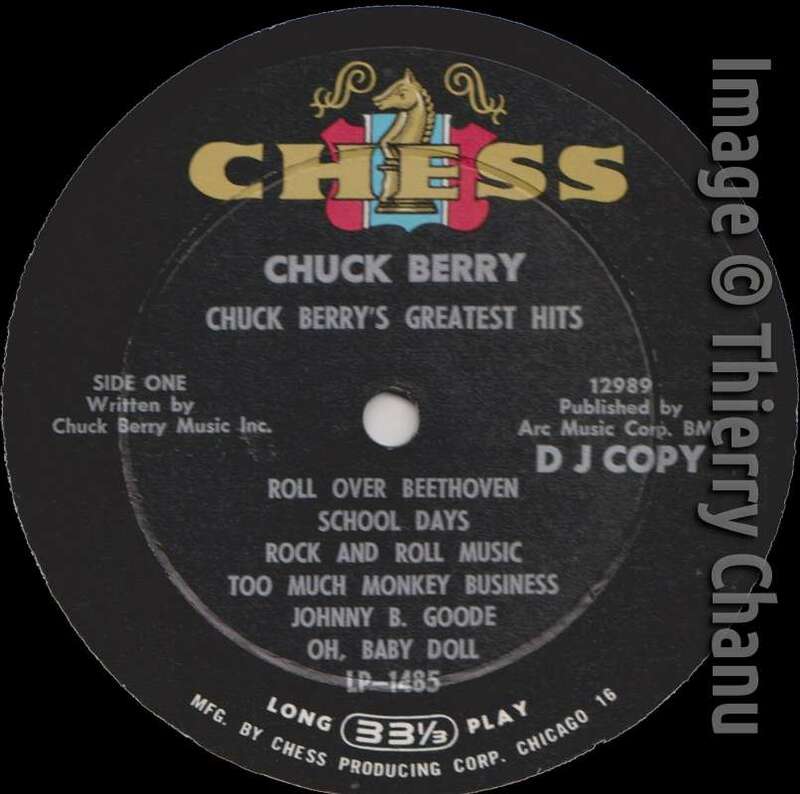 Reader Thierry Chanu added two more images: Here's another minor variant of the label plus the original DJ COPY label. 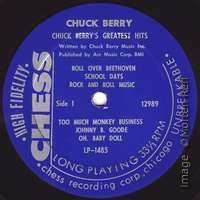 As with the On Stage album, the very first records produced and sent to Deejays came in the non-sticker sleeve and had the multi-color label.